Nyx is a bel dame, a bounty hunter paid to collect the heads of deserters - by almost any means necessary. 'Almost' proved to be the problem. Cast out and imprisoned for breaking one rule too many, Nyx and her crew of mercenaries are all about the money. But when a dubious government deal with an alien emissary goes awry, her name is at the top of the list for a covert recovery. While the centuries-long war rages on only one thing is certain: the world's best chance for peace rests in the hands of its most ruthless killers. 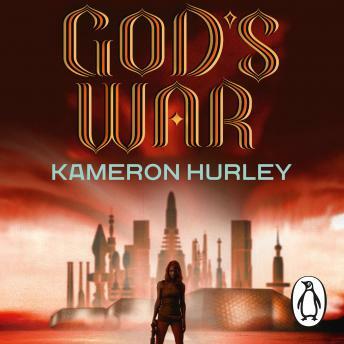 . .
Set in a futuristic world dominated by war, religion and an insectile technology which borders on magic, Kameron Hurley's debut is set to be the highlight of the year.